Or so their ad men would have you believe. In reality, the lines of this savoury stand-off are slightly more blurred. Of course you get the obsessives who buy into the brand at every level – from crisps and cheddar bites to Marmite-flavoured chocolate – and the haters, who recoil at the mere mention of the word. But there are also a small percentage of people who fall into a murky middle ground, who’d never choose to spread it on their toast, but would nibble on a Twiglet or stir the occasional spoon into gravy. This is because Marmite is rich in umami, that sensational savoury fifth taste which packs a punch way above its weight. Just a little bit of Marmite goes a long way, and its lip smacking saltiness can bring an amazing extra depth of flavour when added to certain dishes. Marmite on spaghetti? Anna del Conte does it. Marmite Bloody Mary? Gary Rhodes is a fan. And with their latest campaign, Marmite have picked up on this fact, positioning the spread as the ultimate ingredient for foodies looking to liven up ‘bland British meals’. All very well, you might say, but surely to make a Marmite croissant I must fall into the first category of Marmite obsessives? Well no, not really. Don’t get me wrong, I do love the stuff, but I’m a bit of a Marmite purist. Spread it on bread or buttered toast and I’m yours, but I don’t go in for the crisps and crackers, cheese or chocolate. It’s a texture thing as well as flavour; you need the bite of the bread, the salty spread and a smooth buttery finish for the ultimate in Marmite experiences. Which is where this croissant comes in. Having made – and loved – my first batch of homemade croissants a few months back, I started to wonder what other flavour combinations might be possible. My recipe books were full of ideas, but pretty much everything was sweet; the closest nod to savoury being croissants stuffed with cheese or ham. I wanted saltiness without the heaviness of a filling, so decided to start from the very beginning, adding flavour to the dough itself. A good spoon of Marmite is worked through butter (a la Nigella’s instant Marmite sandwiches) which is then chilled and folded through the dough. The aroma as you roll your pastry is rich and yeasty, and the smell as they bake has a distinctive note of Marmite. When you come to actually taste them, the flavour in these croissants is fairly subtle, which makes me think they shouldn’t just be the preserve of Marmite obsessives. Carniverous Boyfriend isn’t a Marmite fan, but that didn’t stop him digging in for a second serving of this flaky, buttery, slightly salty pastry. So what would our friends across the channel think of this distinctive British product making its way into the quintessentially French croissant? Well, as you probably know, Marmite was named for the large earthenware cooking pot in which this spread was originally made, pronounced ‘mar-meet’ in French. We took their word to name our product, so maybe now it’s time to give a little something back. Love it or hate it, here it is. What’s your position on Marmite? Do you love it? Hate it? Or are you one of those people that’s sits somewhere in between? I’ve already written detailed instructions on how to make croissants here, using the fairly foolproof instructions of the River Cottage Bread Handbook. Gather all your ingredients and follow the instructions from this previous post, substituting the 500g butter with 500g Marmite butter, below. Allow the butter to soften slightly, then stir through the Marmite until fully incorporated. Return your Marmite butter to the fridge and chill thoroughly before us. Please note, this post isn’t sponsored by Marmite. Reading back, it does sound like it might be, but it’s not. I just really like the stuff. And bread. And butter. And any combination thereof. This is very clever indeed. As you say, marmite has an umami taste which just enhances the flavour of a dish if used in the right proportions. 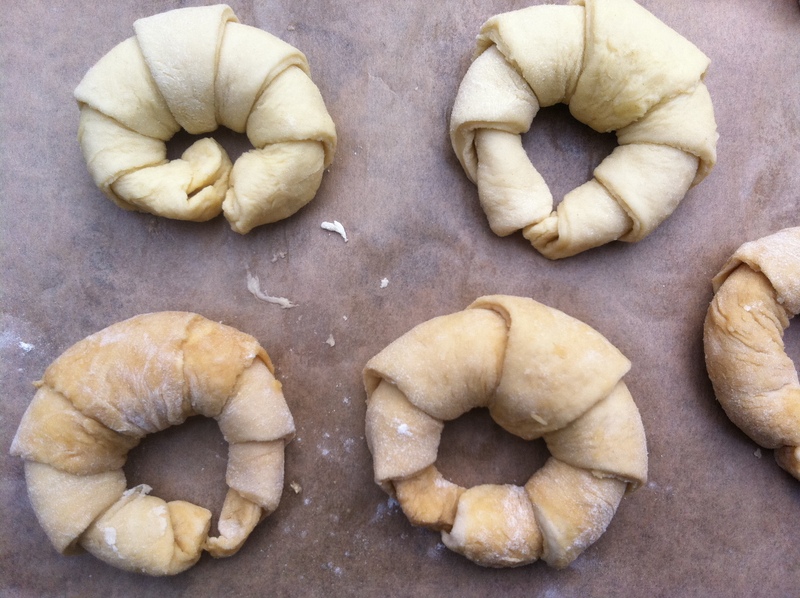 Now I am off to read your method fo rcroissant making, something I have always wanted to make! As an American, the first time I ate marmite was on a Twiglet and I’m afraid I became a marmite hater. A wise ex-pat friend told me that if I stayed in Britain long enough, I would become a marmite lover. I don’t know about that (I found the Twiglets distressing) but I just might love your croissants. Then again, I just might not. But I am very curious about them. I’ve had Marmite stirred into things and that’s do-able because basically at that point all I can taste is the umami and not the Marmite. Pure unadulterated Marmite makes me want to wash my mouth out repeatedly. Oh my lord, Little! I adore marmite, these sound INCREDIBLE. Very clever too. Marmite croissants? I’m sold! I usually have my croissants with a thick spread of butter & thin spread of marmite when not slathering them in apricot jam. Can’t wait to try this! 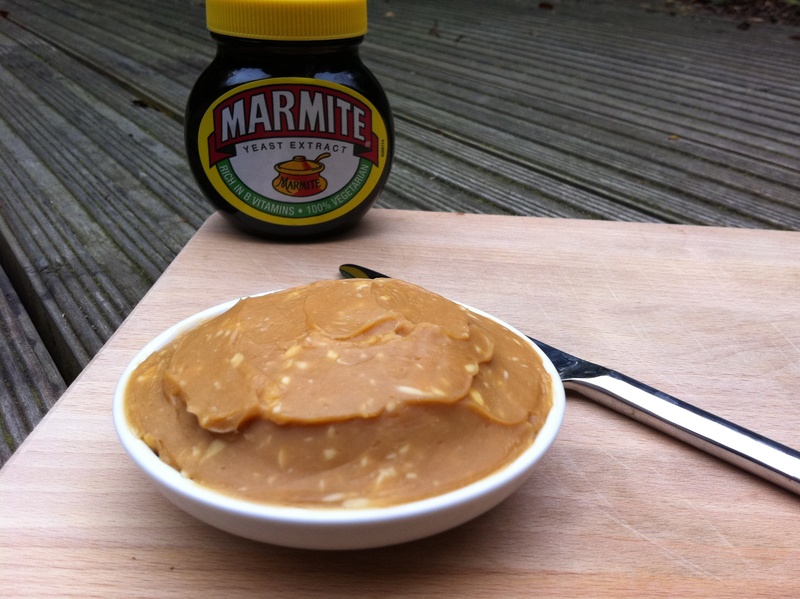 Laura – so glad to find a fellow Marmite lover…hope you like the recipe! Susan – if you didn’t like Twiglets you might find these a bit much. But you should always try everything once, just in case. You never know, you might love them! Frugal Feeding – hooray, here’s to loving Marmite! Crumbs for Dinner – so glad you approve, there seem to be a fair amount of Marmite fear out there! You had me at “umami.” I might have to take a leap of faith and pick up a jar. Oh I am a hate – it would have to be vegemite croissants for me! I have a bit of a Marmite fear (no idea where it’s come from, I’ve never even tried the stuff) and my reaction to the word “Marmite” is “eeeerrrrr” but it’s definitely an interesting idea and your croissants are very impressive indeed! 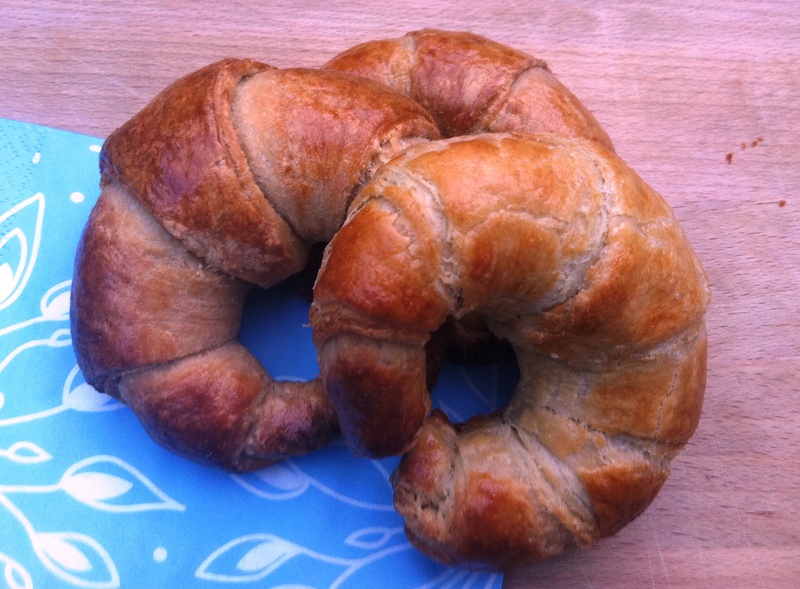 Your croissants look amazing and I love the idea of adding marmite to the cooking process. I’m another one who is on the fence rather about marmite but this sounds amazing! Thanks for the Marmite introduction, I hadnt known about. Your croissant look soo perfect and cute. Lorraine – glad you like and we’ve convinced you on the Marmite front! Julia – a lot of people are slightly dubious about the idea. My other thought was adding orange zest to the butter…might be more up your street? 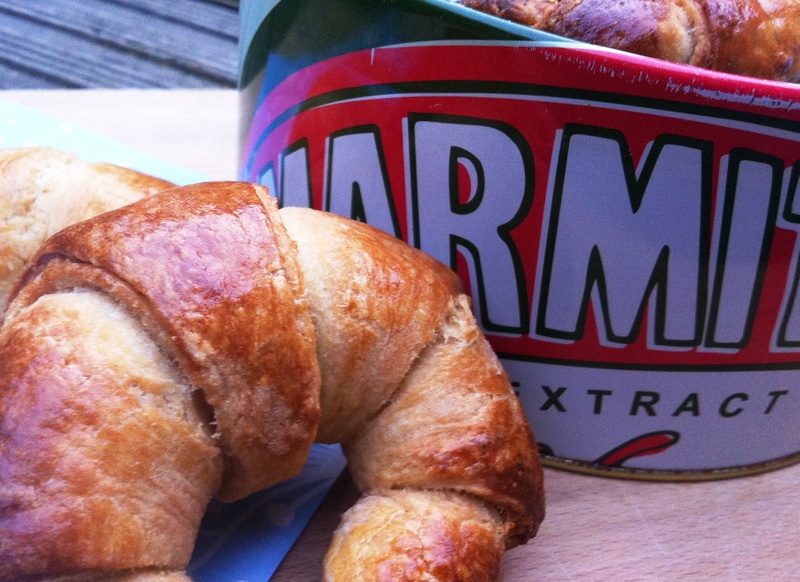 It’s a great idea of adding Marmite to the croissants for those who love Marmite. I actually first tasted it in India at my sister’s house and like you said a little goes a long way I had no idea, I spread it on my toast very generously and almost choked. 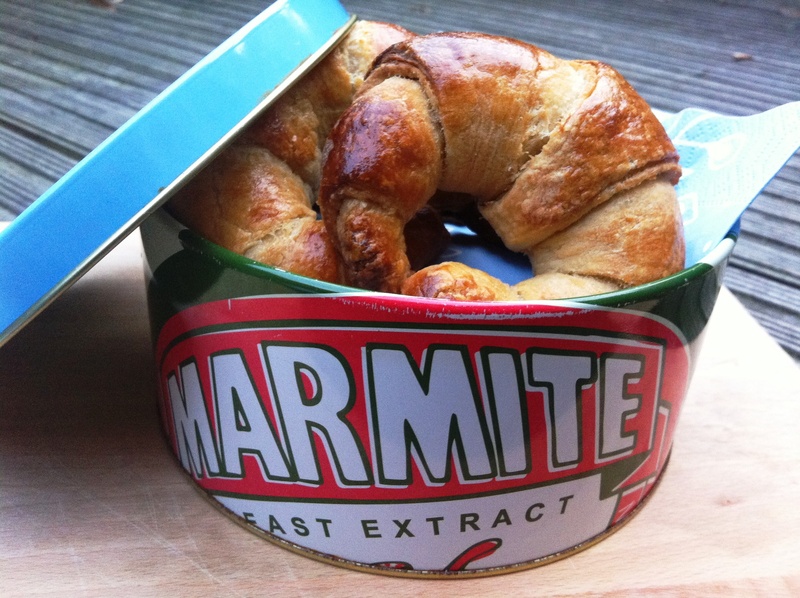 I love Marmite and would be really interested in trying it in a croissant. What an ingenious idea. I am amazed at anyone that can make their own croissant and yours looks so perfect *bows* i am not worthy! I tried marmite chocolate once and hated it so I’m not as purist as I think. Such an interesting recipe! I have to admit that I have never tried Marmite! I know. A British friend and I were just talking about it. I have a feeling it won’t be my sort of thing spread on toast, but I love the idea of incorporating it into other recipes for an umami kick. Yum! I haven’t tried Marmite but I guess it is somewhat similar to Vegemite here in Australia? Asmita – oh dear! Yes, you just need to spread it very thinly on toast! 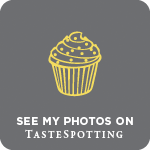 Baking Addict – I’ve not yet tried it but I think Marmite chocolate sounds disgusting. On toast (or in croissants) is pretty much the only way I enjoy it. Katherine – I can’t believe you’ve never tried Marmite! Almost want to pop a jar in the post to you right now! Nuts About Food – thanks for your honesty. If you do give them a try, let me know what you think! I know I am going to love this, my husband may need a litle persuasion, but we are halfway there as he likes his croissants! Absolutely inspired! I am not a Marmite obsessive, it’s a tad too salty for me, but I can eat it and I do like a Twiglet. I like the idea of the savoury croissant, at Christmas we have our breakfast bacon on croissants and I can just imagine how tasty that would be with a Marmite Croissant. Hi! I do like MArmite but in a croissant? (a fusion of English and French…!!!) anyhow a great idea and they look fantastic! Janice – thank you! Laura at How to Cook Good Food has also linked me to this so will get on the case this weekend with my post! I love the innovation; but I think that’s where I stop. Sadly marmite/ vegemite is the sole thing in the world I won’t eat. Same for The Hungry One. And it’s the first thing we bonded over. What a great idea!! A giant BLEH to marmite though, that stuff is awful…mine would be vegemite! When I was little my mum introduced me to marmite and raspberry jam on toast. I was skeptical but it’s delish! I can imagine spreading these with some raspberry jam. Yum! Just brilliant. As a sort of marmite fan – ie I’d hate not to have a jar in the cupboard to spread on my toast with butter or cream cheese. I’m not that keen on marmite flavour things though like twiglets. I’d like to try the chocolate, just because it’s sounds so strange, but I don’t get the idea I’d fall in love with it. But I can so see that it would work really well in croissants, the way you’ve done it and I’d love to try one or more probably two. Apart from anything else they look so perfect. I’m sure our friends across the channel couldn’t possibly scoff. Under the Sea – I’d definitely take Marmite over Vegemite any day…let the battle commence! Doughface – really?! I think my Dad might do the same…think it might be a step too far for me though! Choclette – I really should try the Marmite chocolate, but have a feeling I’d hate it. Proof that it is possible to love two things on their own, but not when combined! I love the idea of marmite butter and these croissants, my husband would hate the idea!